Pasttime Signs Retro 1932 Deuce Coupe Metal Sign LG919 - California Car Cover Co. 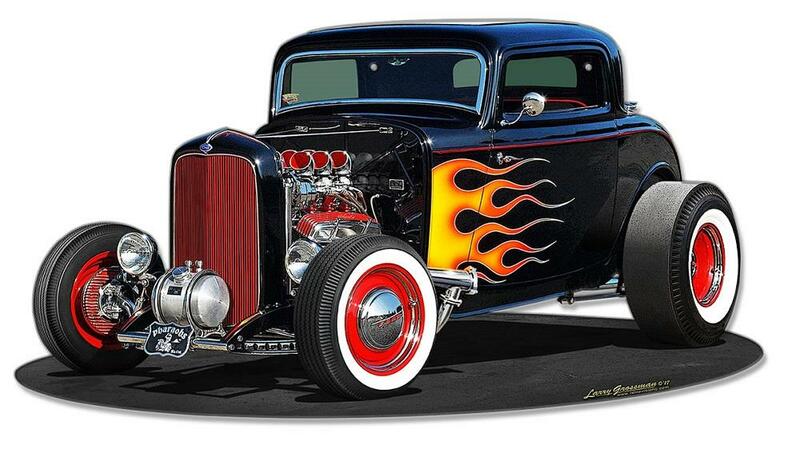 The Pasttime Signs 1932 Deuce Coupe Metal Sign measures 17" x 9" and is proudly handmade in the USA of American Steel. The image is baked into the powder coated sign for a durable and long lasting finish. Includes eyelets for easy wall hanging.